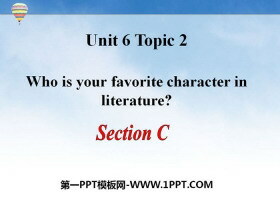 Topic 2Who is your favorite character in literature? 《I will remember our friendship forever》SectionD MP3音频课件 文件内包含本课教学使用的MP3音频文件，非常适用于本课教学。 关键词：仁爱版九年级下册英语MP3音频课件免费下载，《I will remember our friendship forever..
《I will remember our friendship forever》SectionD PPT 第一部分内容：新课导入 Can you put the following sentences back in the proper places? A. Jane comes in a hurry. B. Kangkang is seeing Jane Michael and Mari..
《I will remember our friendship forever》SectionC MP3音频课件 文件内包含本课教学使用的MP3音频文件，非常适用于本课教学。 关键词：仁爱版九年级下册英语MP3音频课件免费下载，《I will remember our friendship forever..
《I will remember our friendship forever》SectionC PPT 第一部分内容：Pair work Discuss in pairs what event may happen on the day of the graduation ceremony and note down you ideas. Read 1a and answer the follow..
《I will remember our friendship forever》SectionB MP3音频课件 文件内包含本课教学使用的MP3音频文件，非常适用于本课教学。 关键词：仁爱版九年级下册英语MP3音频课件免费下载，《I will remember our friendship forever..
《I will remember our friendship forever》SectionB PPT 第一部分内容：Let's talk! What will you want to say in your graduation ceremony speech? What are they saying? Listen to 1a and tick the information youve h..
《I will remember our friendship forever》SectionA MP3音频课件 文件内包含本课教学使用的MP3音频文件，非常适用于本课教学。 关键词：仁爱版九年级下册英语MP3音频课件免费下载，《I will remember our friendship forever..
《I will remember our friendship forever》SectionA PPT 第一部分内容：Our colorful school life We had class together. We had dinner in the dinning hall. We took part in the singing competition. 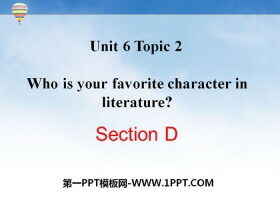 We played basketb..
《Who is your favorite character in literature?》SectionD MP3音频课件 文件内包含本课教学使用的MP3音频文件，非常适用于本课教学。 关键词：仁爱版九年级下册英语MP3音频课件免费下载，《Who is your favorite character ..
《Who is your favorite character in literature?》SectionD PPT 第一部分内容：Read 1a and answer the following questions. 1. What are the precious possessions of the couple? 2. 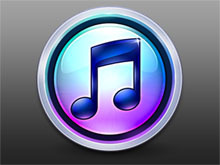 What gifts did the couple give to e..
《Who is your favorite character in literature?》SectionC MP3音频课件 文件内包含本课教学使用的MP3音频文件，非常适用于本课教学。 关键词：仁爱版九年级下册英语MP3音频课件免费下载，《Who is your favorite character ..
《Who is your favorite character in literature?》SectionC PPT 第一部分内容：Read 1a and answer the following questions. 1. Why did William Wordsworth love to take long walks in the mountains when he was young? ..